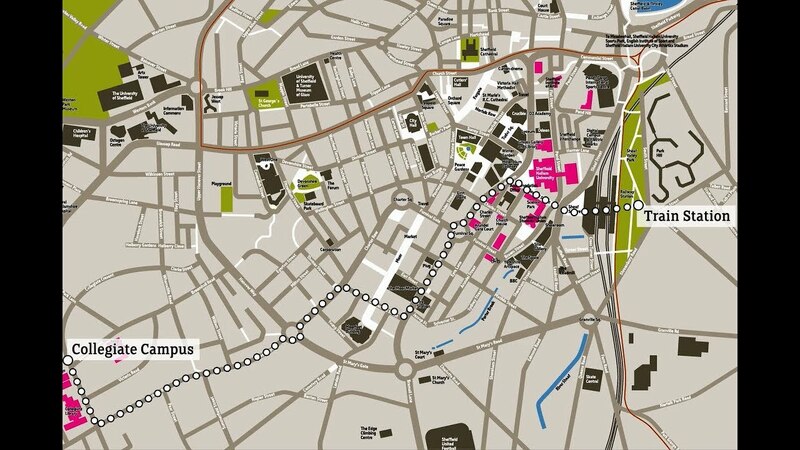 Sheffield might be the UK's 5th biggest city, but it's easy to get around with our handy guide. Save this page to your favourites so you can easily locate it during your first few weeks. 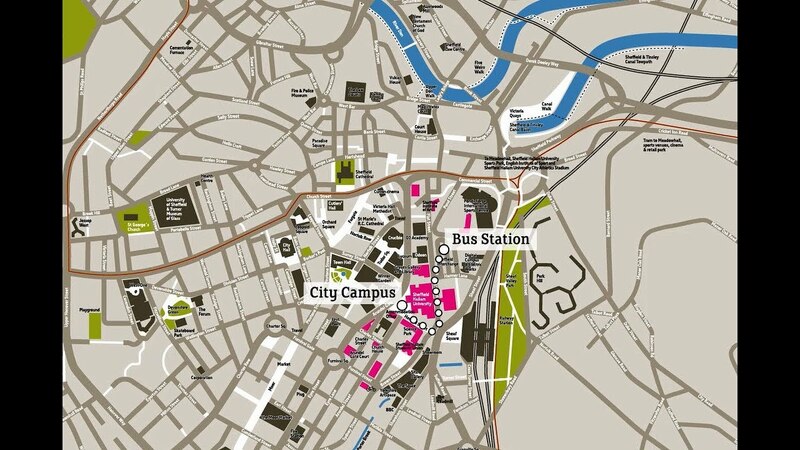 At City Campus, buildings are numbered. At Collegiate they are given letters. Some buildings, such as Owen, Norfolk and Southbourne use their full name. Room 7140 is in Stoddart (building 7), floor 1, room 40. Room 12-4-17 is in Charles Street (building 12), floor 4, room 17. Room F508 is in the Robert Winston BUilding (building F), floor 5, room 08. Room Owen 222 is in the Owen Building, floor 2, room 22. We run a free shuttle bus between City Campus and Collegiate Campus every hour on weekdays in term time. Check the timetable. You can also get the 81,82,83,85,88 and 88A buses. Tickets cost around £1 with your student card. Find bus timetables on the Travel South Yorkshire website, or check the live displays in Charles Street, Eric Mensforth and Collegiate Hall to see when the next bus is due. It takes 25 to 30 minutes to walk from one campus to the other. Check the route options. 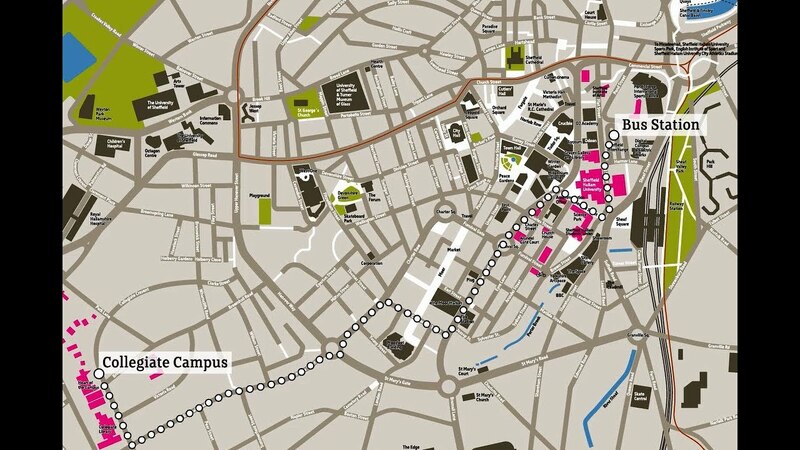 It takes less than 10 minutes to cycle between the campuses. Check the route options. 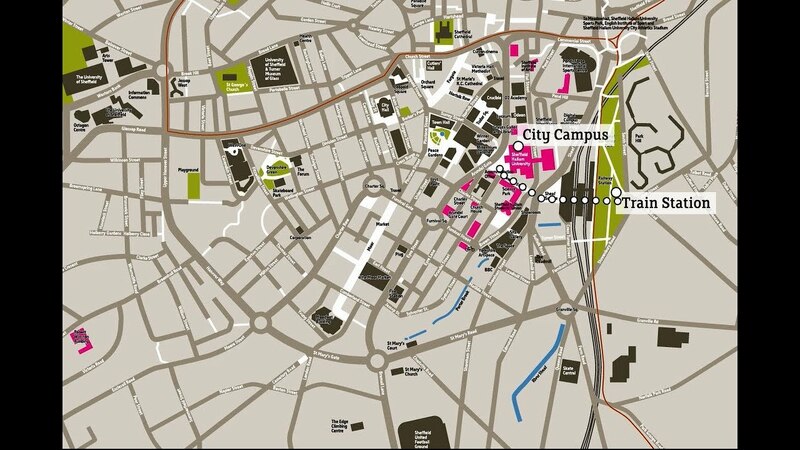 We offer discount car parking at two city centre parks - the NCP on Arundel Gate and the APCOA on Eyre Street. Bring your ticket or token to any University reception to collect your discount. Parking at Collegiate Campus is very limited - it's best to park in town and travel from there.